Say goodbye to troublesome back pain with spinal decompression exercises. It can be the ideal solution for those living with a spinal condition or a painful injury, such as sciatica. The helpful workouts can help to ease the pressure between discs to allow the affected area to heal. It has been reported that 72% of Americans will use pain medication to reduce back pain symptoms. Anyone suffering from a spinal condition will need to embark with decompression treatments. 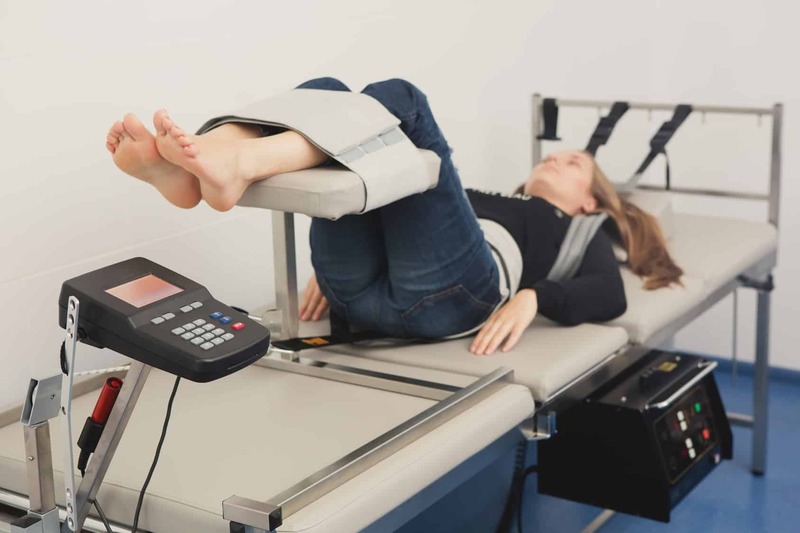 One of the most helpful treatments between appointments could be spinal decompression therapy. The exercises help to stretch the spine to reduce back and leg pain. It’s a non-surgical form of therapy that can improve your mobility. It’s also less invasive than surgical decompression, such as a microdiscetomy or laminectomy. Check out the 5 spinal decompression exercises to relieve pain. Child’s pose is a common yoga resting position that helps to elongate your spine. The resting pose requires you to get onto your knees. Then, press your lower back towards your feet whilst stretching your arms forward. This decompression exercise is an effective way to stretch the spine. It will also help to disperse any pressure on your discs. One of the best decompression workouts to perform in the home is the knee to chest exercise. All you have to do is lay on your back and curl your knees to your chest. You must also wrap an arm around your knees. The exercise helps to elongate the spine on the floor, so the floor can massage your back. You could even rock back and forth to stretch your back even more, which can target various areas of the body. The cat stretch probably looks exactly how you would expect it to. You have to get onto your hands and knees like a cat. You must then arch your spine whilst bringing up your hips and neck. Raise your lower back and ensure you tighten your abdominal muscles. Hold the pose for 15 to 20 seconds before relaxing your abdominal and lowering your back. Invest in an inversion table to hang safely upside down, which will help gravity to stretch the spine. You must hook your ankles before gently tilting back in the table until you are upside down. It’s an effective way to decompress your spine. This is ideal when you’re between spinal decompression appointments. To perform the workout at home, you’ll need an exercise ball extension that suits your height. You can then lay face up towards the ceiling with your back against the exercise ball. Once you feel comfortable, roll backward. This can be a helpful way to extend your spine to ease the pressure from the discs. Unfortunately, 47% of Americans will suffer from some sort of chronic pain. For instance, they may experience, leg, knee, neck or back pain. Are you living with a painful condition? Contact us today for the highest standard in chiropractic care and call 732-477-6767.